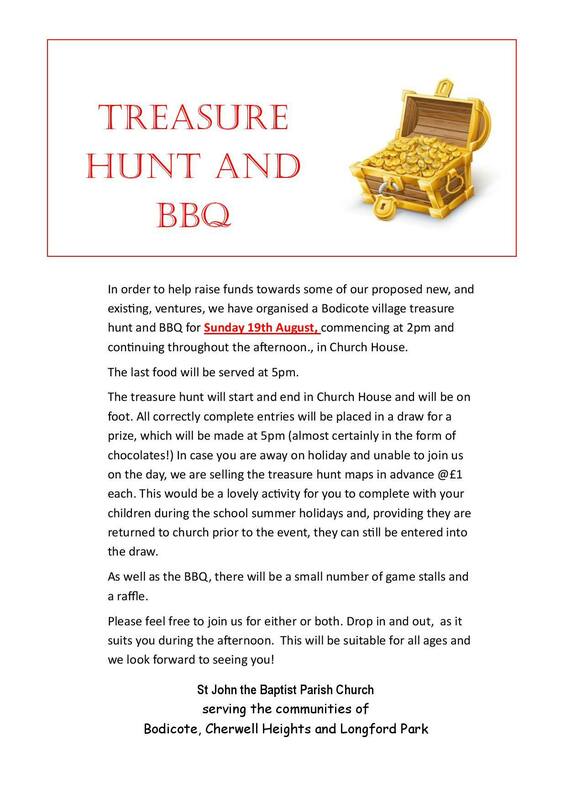 Bodicote Church are holding a Treasure Hunt and BBQ on Sunday 19th August, from 2:00 – 5:00pm. Entry costs £1, with clues available from the Church or by email. If you would like to take part but are away on the day, treasure hunt maps are available in advance of the event.